I definitely needed this today as today was the day I was most anxious about...we went to the Home for Sick and Dying Babies. I'm a mess when I see a sad commercial on TV, so when I found out a few months ago that we would be going to a hospital/orphanage for children who are malnourished, I knew it was going to be difficult. I have prayed circles around this experience, and cried many times just thinking about it, but to my surprise, I was able to hold it together today with the help of God's strength. Every time I felt tears approaching, I also felt God's hand over me giving me the strength to hold them back and do what I needed to do in order to be His hands and feet. I will say however, that this experience was one of the most difficult experiences I have had in my life. I tried to prepare for this day as best I could...I expected to see children with bloated malnourished bellies, I expected to see 4 year old children the size of 1 1/2 year olds, but what I did not expect or prepare myself for, were the blank stares I got from some of the ill children. As a speech-language pathologist, I work with little kiddos on their foundational language skills; I smile at you, you smile at me; I tickle your feet, you give a reaction; I play Peek-a-Boo, you giggle in anticipation. However, with some of these kiddos who have had such a lack of human contact, there was no reaction. It was as if there were staring at a blank wall. That by far was the most difficult part of the day. The time at the Home for Sick and Dying Babies wasn't all sad though. There were lots of smiles, laughs, piggy back rides, and playground fun! At one point, I had the opportunity to push 9 children on a 4 person swing; the giggles and laughter were music to my ears. The second part of the day, we went to Montfort, which is a school and a deaf orphanage. This is where the majority of the donations that we collected went and we got to deliver them! 152 pairs of shoes, 367 toothbrushes, and 118 tubes of toothpaste! 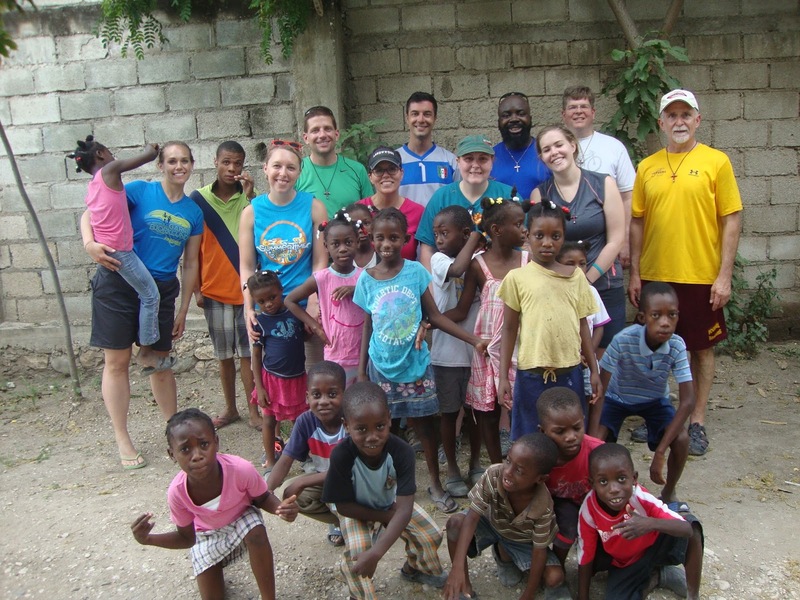 After we dropped the donations off, we got to spend some time and play with the children. Once the children found out I knew a little sign language, I felt like a celebrity! I really could only ask them their name, age, and if they wanted to play; but that was enough to be surrounded by kiddos hanging and jumping on me. We spent the next hour playing soccer and jumping rope; both things that the kids can do way better than any of us! We wrapped up the day with devotionals where we were able to share about our day and process what we had all experienced. Right before leaving for this tip, a good friend told me a quote by Glennon Doyle Melton in order to help me prepare: "Life is brutal, life is beautiful, it's brutiful," and that sums up our day exactly. Side note: I want to let everyone know that the prayers you have prayed over us up until this trip and the prayers you are continuing to pray for us now are working as we have been protected during all our travels, everyone is healthy, and we are all jumping in full force to be the hands and feet of God even when we are pushed outside our comfort zones. Well today, May 23rd, I got to fulfill a dream that I have had for a long time now. 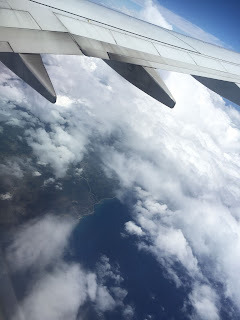 I got go back to my home country on a mission trip. 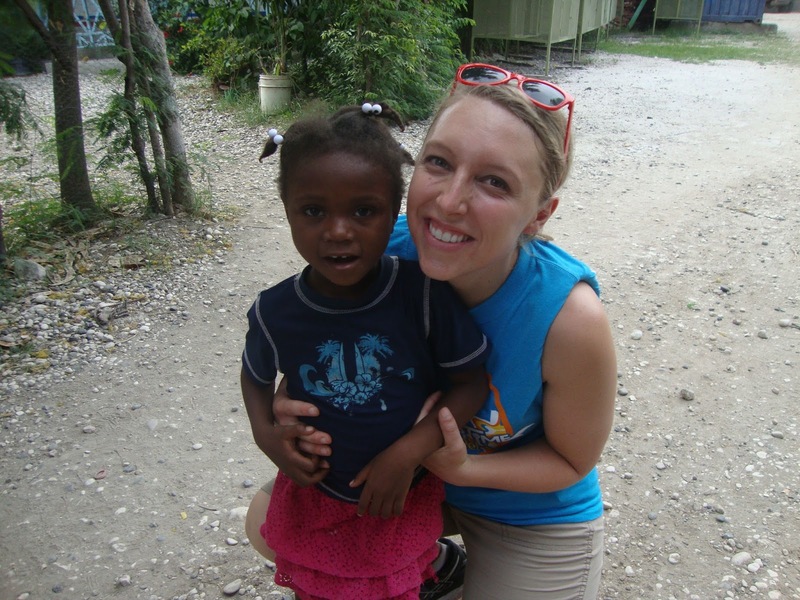 I had talked to my amazing wife about this trip for a while now mostly about going home and seeing what it would be like to be back in my birth place and then she told me that she had been wanting to go to Haiti for more than 10 years. When I arrived in the country I was kind of nervous and excited all at the same time. I was mostly kind of scared because I didn't want to cause any trouble, not sure why I would be a problem but for some reason I thought I would be lol. When we arrived in customs I was surprised with something. Everyone that was from out of the country had to pay $10.00, I didn't know this but since I was born here in Haiti I didn't have to pay to get in to the country which was pretty cool. We then took a ride in a tap tap / Haitian Taxi to our compound and it was amazing driving through the city and it was very interesting looking at the street as we made our way. I saw people on Dirt bikes and old big trucks and cars which was something I didn't think I would see being in Haiti. The road it self was made of lime stone. I gotta say my favorite part of the day was when we went to play a game of soccer with some local kids. I was talking to some of them and the crazy thing was they knew instantly that I was from Haiti. But they also knew that I didn't speak the same language. I still talked to them and made great conversation. I found out that most of them all go to school and the main local that I talked to said that he wanted to be an engineer that would design buildings. I told him that I work in concrete and that we build big commercial panels for buildings. He thought that was pretty cool. Then we finished the soccer game, it was amazing. We played in this old dusty dirt field and everyone was playing for keeps. The best thing was the locals didn't even wear shoes they just played in their bare feet. Now there was sharp rocks and some small broken things that were in that dirt and sand, but it didn't bother them. I must say that this has so far been a great experience and I know that its just going to keep getting better. All I can think about is how much I'm gonna miss this place when I go home. Being in a place that you haven't been in for 27 years and then you go there and people automatically know that your from the same place thats just an awesome feeling that I can't describe. Unless if you're in my shoes then you know. But I'm gonna get to bed and make sure that I'm well rested and at full capacity to help out and serve tomorrow. Good night and thank you all for helping me get here to fulfill a dream.